Elson Volley was formed in 1983 by State and National volleyball coaches David Eldridge and Harley Simpson, who needed access to a wider range of products for coaching, teaching and volleyball competitions. Now, after 30 years, Elson Volley supplies the best volleyball equipment, at the best prices, anywhere in Australia and the Pacific region. We do not sell anything we wouldn’t use ourselves, because that is our job. We will not waste your time with inferior goods. At Elson Volley, your complete satisfaction with quality, value and service is the reason for our business. We have coached and competed at National and International level for many years and our advice and support is free. We sell everything from Kneepads, International Volleyballs, Beach Volleyballs, Mikasa products, Molten Volleyballs, Portable net systems, Portable beach kits, MVA 200, VLS 300 and more. David was General Manager of Volleyball SA for 2 years and was responsible for pioneering the “Lunch and Crunch” school tournaments and high profile beach volleyball tournaments. He was the AVF “National Coach of the Year” for 1996, and Runner Up in 1995. His Heathfield High School volleyball program won the AVF “National Coach of the Year” again in 2003. He was also the AVF “Administrator of the year” in 2010. 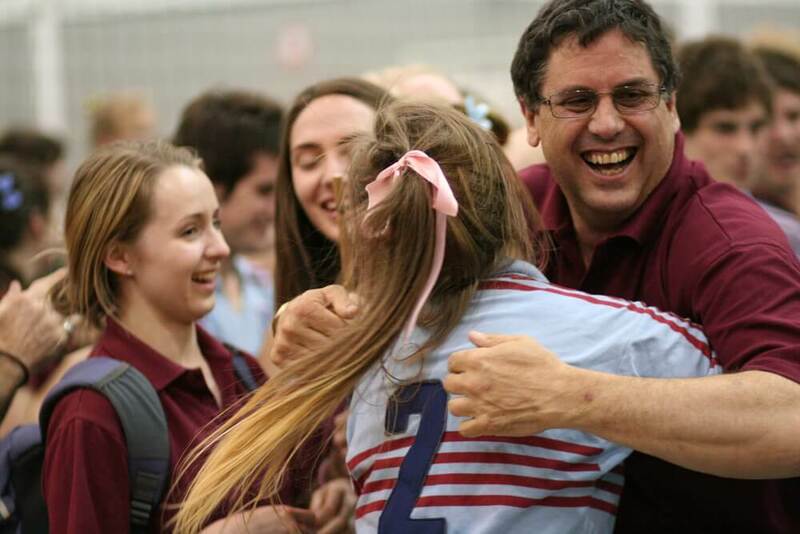 David has coached the SA School girls and Heathfield High Volleyball teams to win over 54 Australian championships including the “Champion School” of Australia award from 1993 to 2000, 2002 to 2006, and again in 2010. In 2000 he was awarded an Australian Sports Medal for services to Australian sport. David is a life member of the Mt Lofty Volleyball Club, Volleyball SA and the Australian Secondary School Sports Association. In 1997 the Australian Volleyball Federation awarded him a Distinguished Service Award and in 2012 Australian Volleyball Life Membership. He is widely respected in coach education circles and was the co-author of “Teaching Volleyball in Schools” and the “Let’s Play Volleyball” DVD. He has also written course material for both the National Level 1 and Level 2 coaching courses. He has been invited to attend and present at international coaching courses. David was also on the National women’s team coaches advisory panel for the Sydney 2000 Olympics and was on the 2005 National women’s review panel. He has coached the South Australian Under 16 State Girls coach winning 10 National titles. The combined experience of David, Kim, Mark and Rae at many levels of volleyball gives them a unique understanding of the needs of volleyball players, coaches, officials and commercial volleyball providers, and they are keen to offer any advice to help Australia’s volleyball community. Elson Volley has not just provided volleyball equipment, they have designed, developed and sourced solutions to the needs of coaches and players of Australian Volleyball since 1983. – High School in Toowoomba. – Anne- Marie General Manager Volleyball SA. “Thank you very much. Great customer service this morning. Will be doing more orders in the future with Elson” !